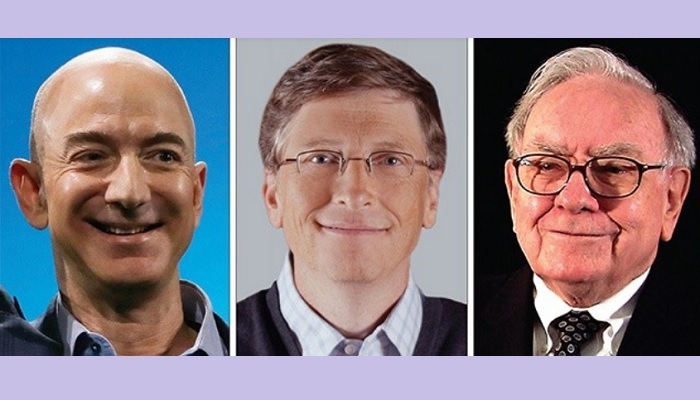 Jeff Bezos remains the world's richest person, ahead of Bill Gates and Warren Buffett, according to the latest Forbes list of the ultra wealthy. Buffett's fortune slipped by $1.5 billion to $82.5 billion, the magazine estimated. Non-Americans among the top 20 include India's Mukesh Ambani, chairman of Reliance Industries, in 13th place, and China's Ma Huateng, head of the Chinese internet giant Tencent, who rounds out the top 20.